If your interest is in connection with a current patient, you have to act now. Please see our Divers Emergency Service for advice. Decompression Illness, or DCI, is a term used to describe two main conditions: Decompression Sickness (DCS) and Arterial Gas Embolism (AGE). However, it can sometimes also be known as: The Bends, Caisson Disease, or Diving Accidents. Diving Accidents can happen to any diver. Whether because of a minor equipment failure, or environmental factors, even sometimes for no reason whatsoever. It doesn’t matter if you’re a novice or a pro, or how easy the dive was. You should always pay attention to your health and any symptoms that indicate something isn’t quite right. 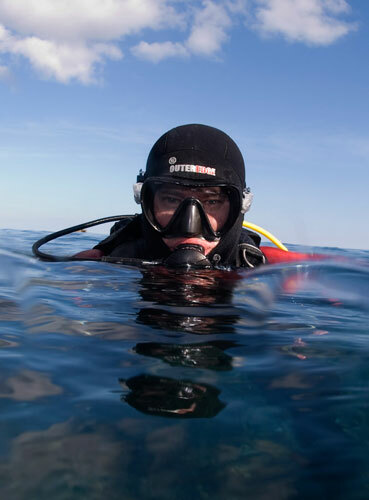 Understanding the symptoms and causes of Decompression Illness (DCI), and knowing who you can turn to for advice and treatment, will help you safely enjoy diving. When we breathe in an environment with increased atmospheric pressure, our lungs absorb more nitrogen into the bloodstream than usual. Because our bodies don’t use, or metabolise, the nitrogen it remains in the system until it can be expelled when we breathe out. Divers experience increasing pressure the deeper they reach and, conversely, the pressure reduces and returns to a normal level as they ascend. If excess nitrogen remains in the system after the pressure has returned to normal, it can form into bubbles in the blood or body tissues. These bubbles are the cause of Decompression Illness, and the reason why divers are taught to ascend gradually. Ascending gradually gives the body a chance to expel as much of the excess nitrogen as possible. Effects differ from person to person but varying predisposing factors are thought to heavily contribute to DCI even with correct procedures. Breath holding and air trapping in the lungs during ascent or decompression may also lead to DCI as well as some heart defects. As the symptoms for DCI are so diverse, any symptom that cannot be readily explained after diving or other hyperbaric exposure should be assumed to be DCI until proven otherwise. Please see our Divers Emergency Service for advice. Altered consciousness, balance and coordination problems, memory problems, headache, nausea and vomiting, vertigo, numbness and tingling, joint pain, unusual fatigue, paralysis, skin rashes, difficulty walking/standing, muscular weakness, difficulty urinating, difficulty breathing. Staffed by a team of experienced and highly motivated doctors, supervisors, nurses and attendants, our facilities have unrivalled experience in the treatment of conditions relating to diving accidents and recognising the signs and symptoms. So if you believe you or any of your buddies may be showing any of these symptoms then contact us immediately. It’s better to be safe than sorry. Even if you’re not sure, call our Divers Emergency Service to be connected to a diving doctor who can advise accordingly. 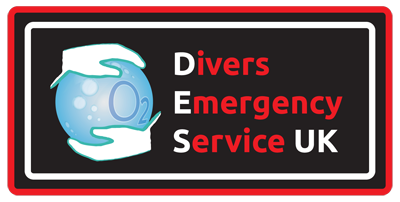 We operate the Divers Emergency Service – a dedicated website and 24 hr/day helpline providing free advice, contact with diving doctors and access to NHS funded hyperbaric treatment where applicable. Divers can phone our helpline 24 hours a day, 365 days a year, if they suspect they or their buddy may be affected by Decompression Illness. If you are simply not sure, it is better to be safe than sorry and you should call our friendly, knowledgeable staff without delay. Often, treatment in a hyperbaric chamber isn’t necessary. However, if our diving doctors recommend it and you are in our catchment area we can also provide treatment at our facilities in East London and Great Yarmouth. We are members of the British Hyperbaric Association. So if you are outside our catchment area, or there is another hyperbaric chamber closer to you, we can connect you with a network of other chambers throughout the UK.